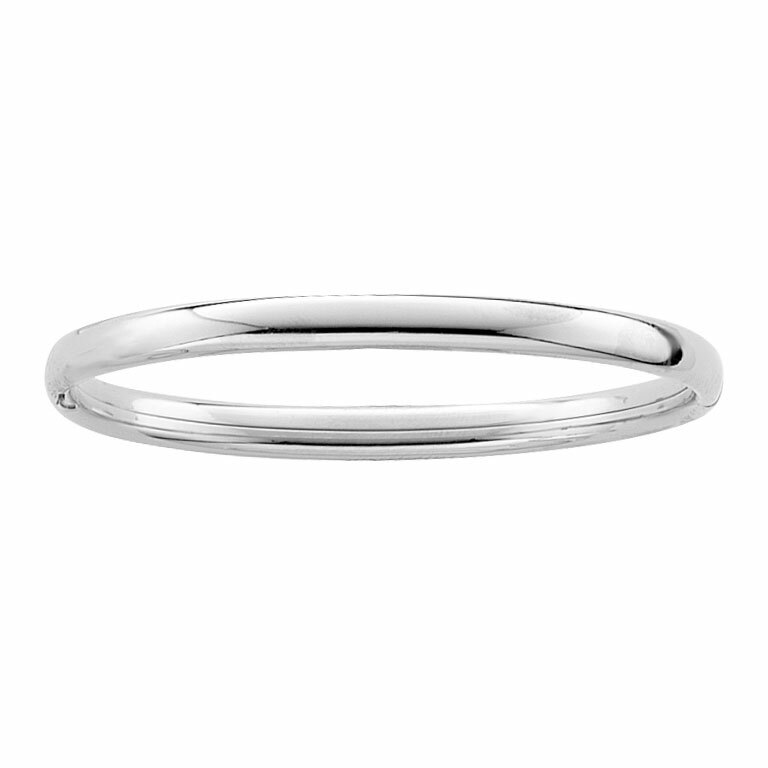 High polished sterling silver rhodium. 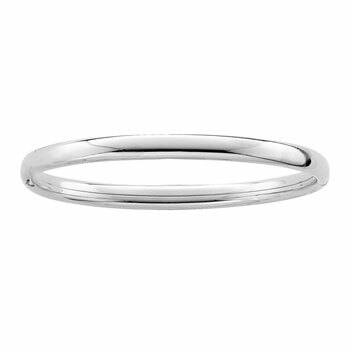 Size 6.25" (6 - 10 years) or (Preteen - SM Adult) hinged grade school girl, tween, or teen girls bangle bracelet. Also available in infant, toddler, and mommy sizes. Hinged design makes wearing this bracelet a snap. Child shown in photo is 5 years old. Save $10 by purchasing the mother daughter set.